What do your customers want? What do they need? On what do they base their purchasing decisions? How can you optimize your offering and communication to satisfy these expectations as well as possible? Most marketing efforts rely heavily on the answers to such key questions. “Big mistake!” say some experts. 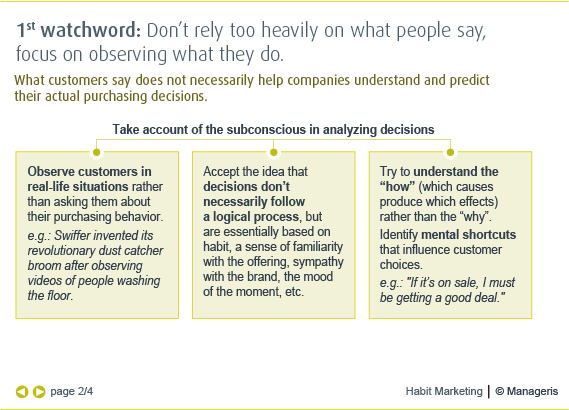 This rational approach is indeed appropriate for carefully considered customer decisions. But such decisions are the exception rather than the rule! Experts in neurosciences estimate that at least 95 percent of our decisions are made outside of our field of consciousness. Often, we make decisions simply out of habit. Under these conditions, the very foundations of most marketing approaches must be called into question. 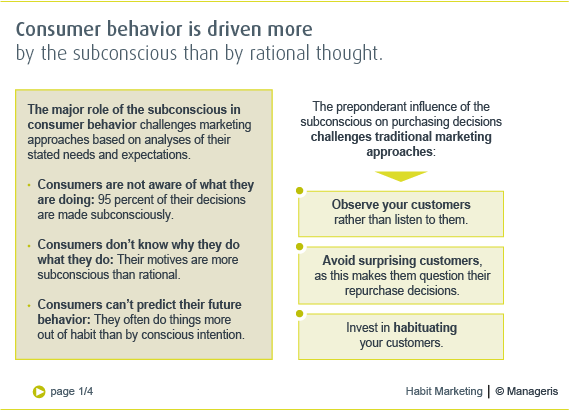 Rather than trying to understand and convince customers, companies may be better off with an approach drawn from behavioral psychology, i.e., observe and influence people’s behavior, without concern for the underlying beliefs. – Stop listening to your customers: They don’t know what they are doing or why they are doing it! Instead, observe them as they purchase or use your products or services. – Beware of the temptation to surprise your customers by exceeding their expectations; you may actually cause them to think twice before renewing their purchase with you. 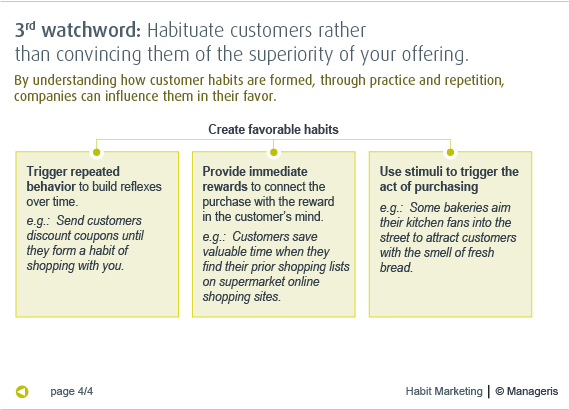 – Invest to habituate customers. This approach often works better than trying to convince them of the superiority of your offering every time they buy. 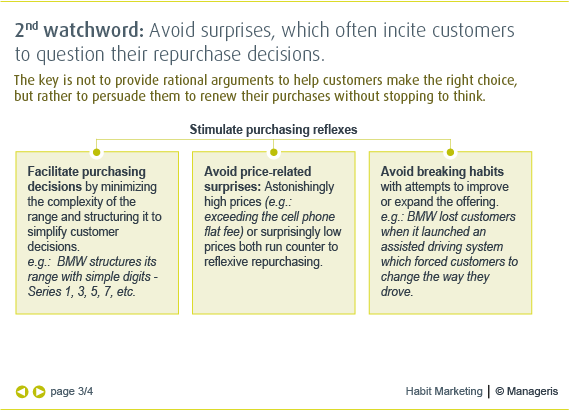 How can businesses use habit formation as a core part of their marketing strategy? An innovative approach to brand strategy, which takes subconcious customer decision criteria into account.